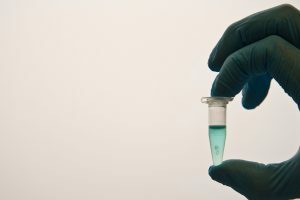 DNA test kits aimed at consumers offer the opportunity to send saliva through the mail and receive information on your ethnic background, connect with distant relatives on a website and find out health information at a relatively cheap price point. While the kits allow people to discover more about themselves, they can also reveal family secrets, spark debate about the ethics of using genetic testing information to track down criminals and raise concerns regarding the results for those belonging to underrepresented groups. Find out more about these popular DNA test kits with these recent articles on the topic. When she received the results from a consumer DNA gift card, author Dani Shapiro discovered her father was not her biological father, and it "changed everything I understood about myself." For a longer version of Shaprio's story, check out her book Inheritance. Krueger explores how genetic testing sites work similarly to social networks by connecting people—who have shared genetics. Krueger received a list of 1,200 relations when she took a consumer DNA test. She talks to test takers who made meaningful connections with relatives, but also those who found results emotionally difficult to navigate. Weise looks at the challenges for Asians, blacks and Latin Americans in obtaining meaningful, accurate information from consumer DNA tests. She explores whether the kits are "worth it" for Americans with non-European roots. Detectives caught the Golden State Killer by using the suspect's DNA and tracking down relatives with GEDmatch, a genealogy database using genetic information. Whyte outlines some of the ethical issues regarding law enforcement mining these databases for genetic information to solve cases. The results of a recent study suggest that being told you have a certain gene variant, such as low endurance, might have more impact than actually having it.